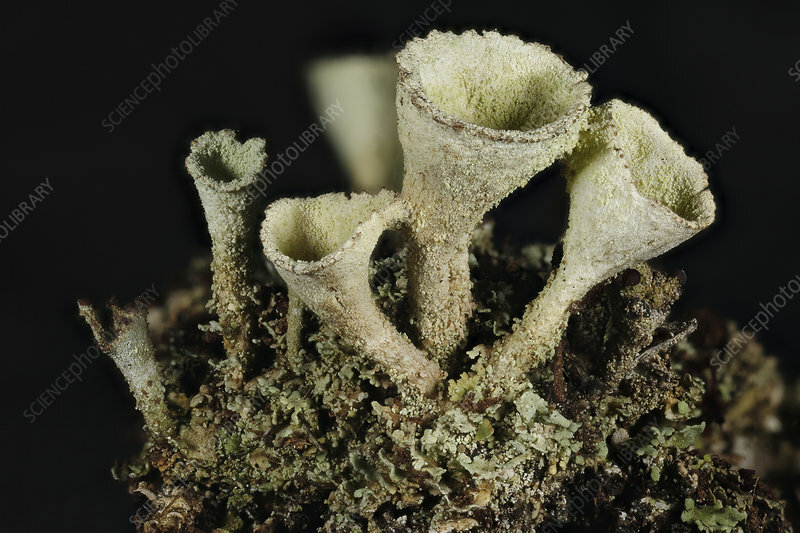 Pixie Cup Lichens (Cladonia asahinae). Lichens consist of algae, fungi, and yeast that have formed a symbiotic relationship. Photographed at 2x with a field of view of 16 mm. Photographed in New York State.